• 99% waterproof – The bag is everything but submersible but you can count on your content staying dry as the bag has been designed using materials and sewing practices that eliminate places for water to get in. •	Hot/Cold Barrier – Helps keep the heat from the heat exchangers from ever hitting the cold air in the bag. •	Semi Ridged construction – The bag will keep its shape when empty. 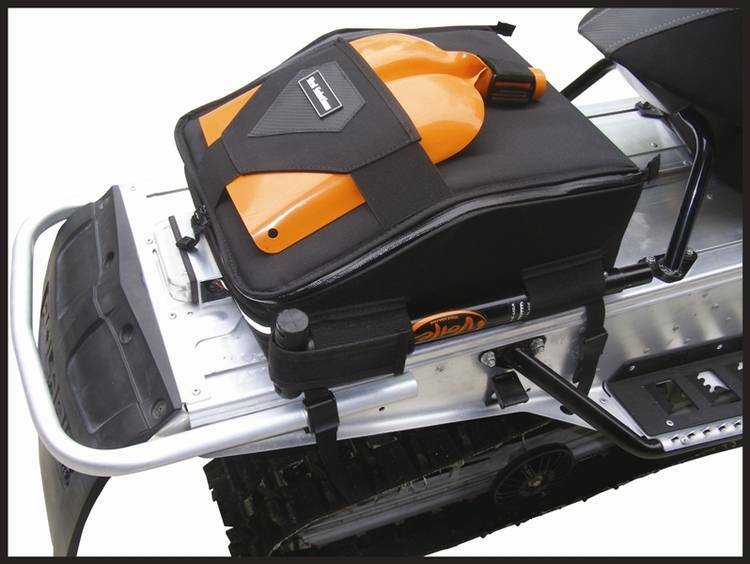 •	Shovel system allows you to store a shovel on the bag for quick use while not restricting entrance into the bag. •	Reflective strip along the back for added safety and visibility. •	Inside you’ll find a mesh zipper compartment on the bottom side of the lid and mesh pouches on the sides for extra storage. 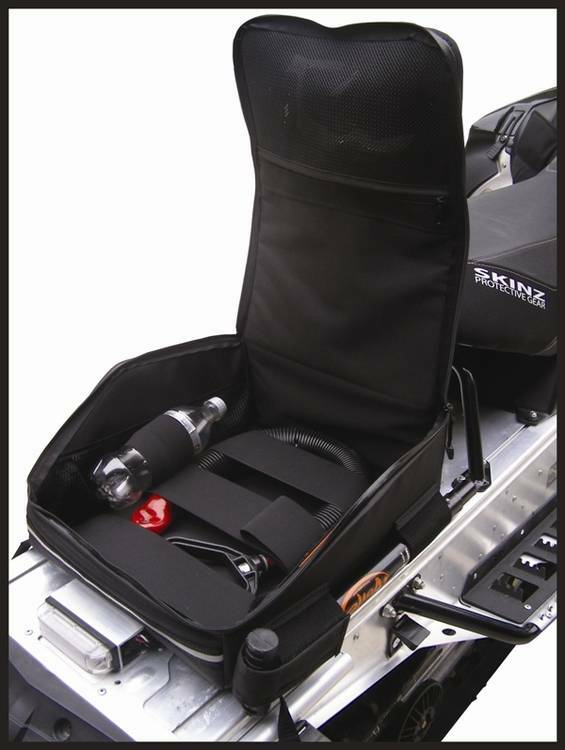 •	3 elastic straps are located in the bottom of the bag to keep your contents in place during your ride. •	2 elastic loops to keep water or pop from bouncing around in the bag. •	Waterproof zipper with dual zipper pulls. •	Bag is universal and will fit most models. •	Attachment is accomplished using cam buckles which rivet to your tunnel. •	Full zipper so you have full access to all of your gear. •	Available in Black only! •	6 plastic feet are sewn into the bottom of the bag to keep it off of your tunnel and prevent wear to the tunnel bag. •	1 year limited warranty against manufacturers defects. •	Approximately 1200 cu. in.